The first round of community workshops for the Panguna Dialogue Project (PDP) took place in October 2015. 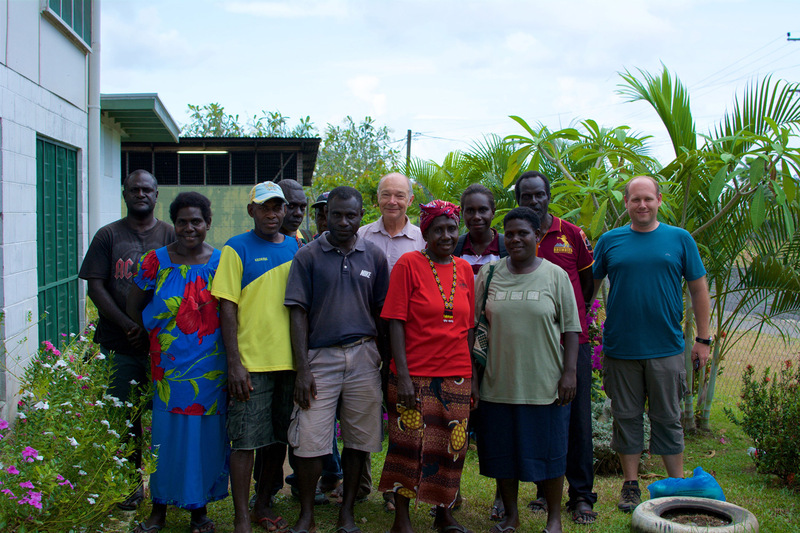 This was a joint endeavor by conducted by a PaCSIA team, consisting of Dr Volker Boege, Dr Serge Loode and Mrs Erica Rose Jeffrey, and a local team of Bougainville facilitators from the project area, led by Mr Dennis Kuiai. 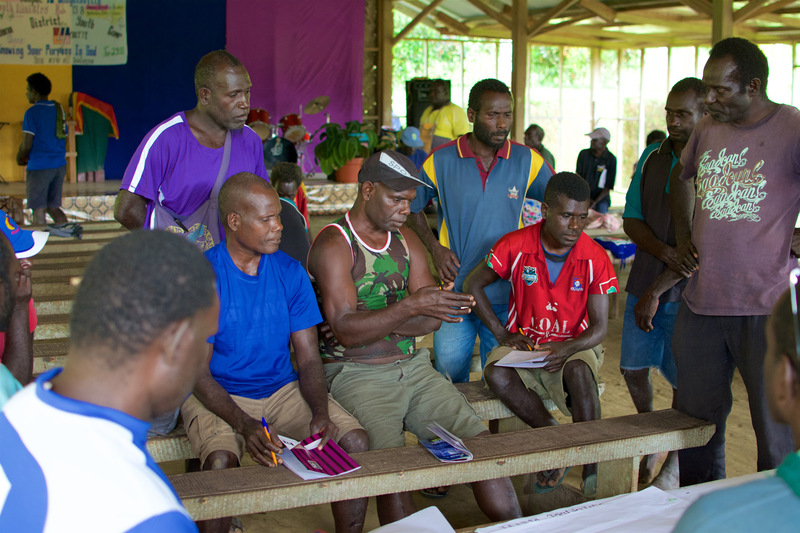 According to the rationale of PDP, these workshops were to support community leaders from the Panguna area in Bougainville in addressing everyday issues of community governance, development and conflict resolution. Three workshops were held in the Council of Elders (CoE) areas of Ioro 1, Bolave and Eivo-Torau. They were each attended by around 35 to 45 participants, including chiefs, CoE members, women leaders, church leaders, representatives of youth and of ex-combatants. Members and leaders of the Meekamui movement and so-called ‘cargo cults’ also took part. The workshops were facilitated by local facilitators, with the PaCSIA team in support. Their focus was on problems and challenges related to peacebuilding, governance and development at the village level, on community strengths in addressing these challenges, and on community action planning. The dialogical and strength-based approach of the workshops was highly welcomed as encouraging and empowering by participants. It became clear that the term ‘workshop’ initially led to false expectations on the side of participants. They were used to a ‘workshop’ format where outsiders come in an ‘teach’ the locals, with the outsiders as the ‘trainers’ – the ones ‘in the know’ -, and the locals as the passive recipients of outsiders’ knowledge. But PDP activities are different: they provide a safe space for genuine two-way dialogue in which local participants can draw on their own strengths, knowledge and experience, and a process of mutual learning emerges. To avoid misunderstandings in the future, the decision was taken to drop the term ‘workshop’ and instead use indigenous terms for ‘dialogue’ taken from the local languages spoken in the Panguna area. Based on the sharing of experiences and stories of strength, and the identification of challenges, community action plans were elaborated on the last days of the three events. These action plans range from reconciliations between neighbouring communities through addressing issues of sorcery or home-brew, to plans for building village assembly offices or housing assistance for war orphans and widows. Before the community dialogues, the team carried out a facilitator training, and at the end of the trip a one-day PDP team meeting was held in order to reflect on the experiences of this round and to plan the next project stages. Furthermore, a meeting of the PDP Steering Group was held. This Steering Group is the body that guides and supervises PDP activities. 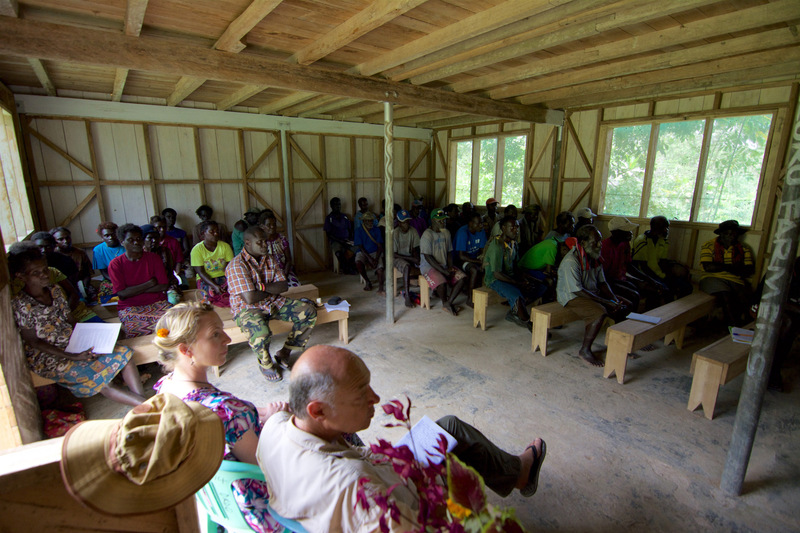 It includes the three Autonomous Bougainville Government (ABG) members from the project area, the Panguna Meekamui Commander Moses Pipiro, one representative each for women, youth and church from the project area, plus Mr James Tanis as Head of the ABG Department for Referendum, Peace and Veterans Affairs, and Volker Boege for PaCSIA. A very important unplanned outcome of this project phase is, that the local Bougainville team members have decided to establish their own local NGO – ‘Bougainville Indigenous Dialogue’ (BID) – to conduct additional PDP-related activities. The new NGO will be a civil society counterpart for the ABG, in particular for the Department for Referendum, Peace and Veterans Affairs. Its director James Tanis has welcomed the decision to establish this NGO and has promised his department’s support. PaCSIA is also committed to assist the new NGO in every way possible. PDP has also contributed to the forging of closer links between the ABG and the Panguna Meekamui movement. The fact, that over the last months several decisive steps of ABG-Meekamui rapproachment have been taken (including high-level meetings, signing of Memoranda of Agreement and Memoranda of Implementation) is attributed to the groundbreaking work of PDP. In view of preparations for the referendum on Bougainville independence (most probably to be held in 2019), this development is of utmost importance. The Panguna Meekamuis have embraced the PDP process enthusiastically. PDP will now reach out to other Meekamui factions beyond the Panguna Meekamui. The first round of dialogues has resulted in significant impact and positive resonance from communities – and beyond. 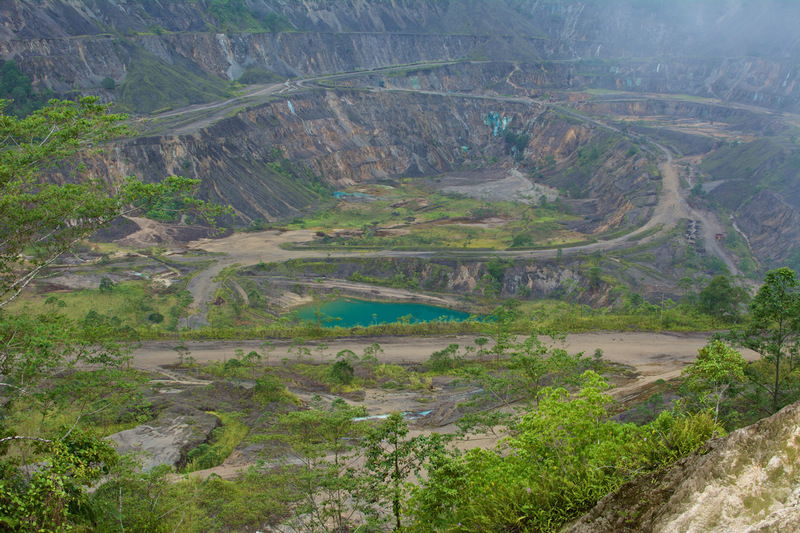 PaCSIA’s trip to Bougainville in October was a great success. The seeds of dialogue have been sown in the Panguna communities. PDP, which runs under the official title ‘Building Capacity in Governance among Community Leaders in the Panguna Mine Area, Bougainville’ is funded by Misereor, the development agency of the Catholic Church in Germany. In the coming months we shall continue reporting on the project’s progress on this site.